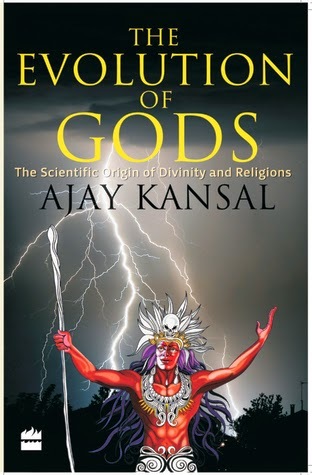 I am happy to announce that the promo tour for The Evolution of Gods: The Scientific Origin of Divinity and Religions by Dr. Ajay Kansal starts May 15th to 21st. You can also sign up for the review tour in june. Form present at the end of the post. The book is a thrilling, enriching and very interesting non-fiction dealing with the supreme puzzle of the evolution of Gods. Let us think for a moment why humanity developed several religious concepts but only one science. For example, one dogma avers idol worship and the other asserts the contrary: scientific principles have no such ambiguities. There is a concrete reason behind this contradiction: about one thing or concept there is only one truth, but there can be many lies. This book is an effort to light a candle in the darkest corner of human consciousness.